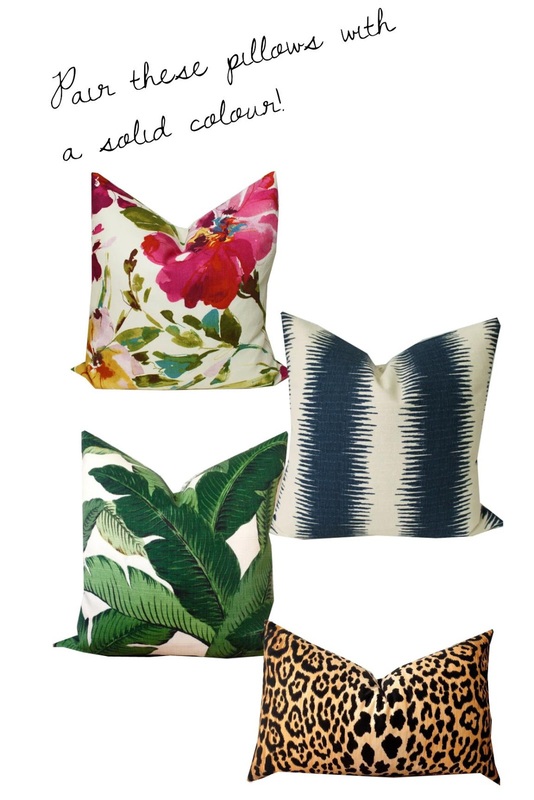 Shop Gorgeous Pillows from the comfort of your Couch! If I had one piece of advice I could offer someone looking to refresh their living room it would be to scale everything back, like, everything and buy new pillows. Hopefully you were savvy enough to buy a neutral couch. And in neutral I mean white, lol. Okay, white isn't the first choice of people with children, people with pets, or people who like to entertain....I guess that leaves everyone out! Beige or gray are my runner-ups and that'll do just fine. Finding nice pillows could be a challenge. Solid coloured pillows are pretty easy, but lets face it, they just fall flat. They need to be paired with a more interesting pattern. Here is something I've learned from many a designer. Mix 3 different patterns with 3 different pillow shapes for interest and texture. I like some of the velvety pillows from Ikea; but those are the only pillows I like there. Otherwise here are some great online choices! Love these 2 companies I stumbled upon on Etsy. They are both Canadian and shipping is only about 12$. 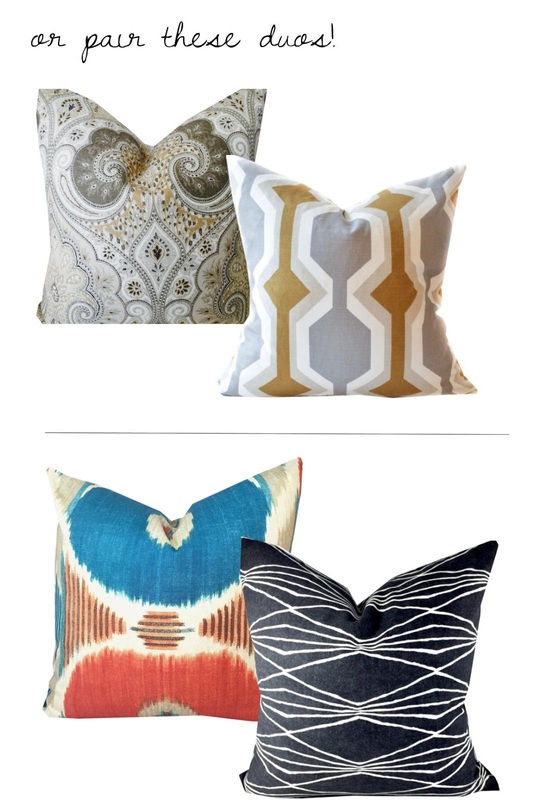 I am currently shopping pillows for a client and haven't seen anything I liked, except these! So many great pillows to choose from. They do not come with pillow inserts so you can buy some to suit your needs (down or synthetic), Ikea is good for that! I also tend to use my old pillows as inserts to my new pillow covers! It's an easy and cheaper way to switch out for the season, and no worries about having to store them!